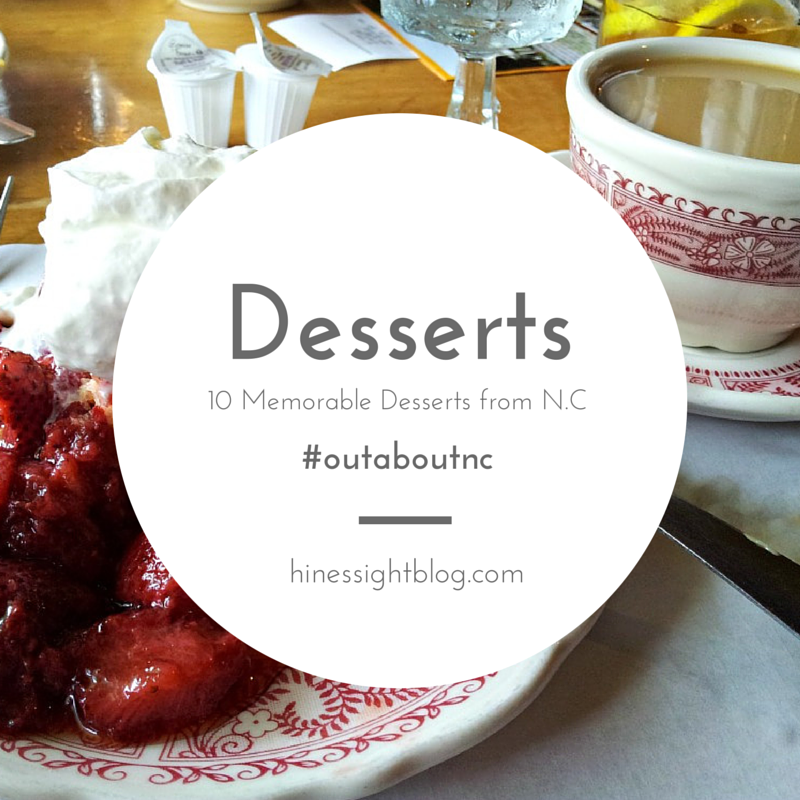 Today's #outaboutnc post has been years in the making. It's one of those posts where you have to have either years of eating or blogging experience under your belt to pull it off. In this case, it's both. It's been my goal to put a memorable dessert post together curated from North Carolina restaurants for some time, But, I didn't want to just list desserts I liked. Instead, I wanted time to pass, and see what desserts resonated with me over time. This is my curated list. There are a couple of things you need to know before we get to the sweet stuff. I don't eat in a lot of chain restaurants so a lot of these desserts may no longer be available because they were created by pastry chefs based on the season. I also love chocolate, but I don't order a lot of chocolate desserts because they are too rich for me. I prefer just a simple piece of dark chocolate You may even see a common thread among my tastes. These are not in order of deliciousness. They all win that award. Toasted Coconut Cake from the Gallery Restaurant in Charlotte, N.C: This dessert goes back to 2012 during a stay at The Ballantyne Hotel and Lodge. I think of this coconut cake often because I adore coconut cake. And not all coconut cakes are the same. Some can be dry, and some can knock your socks off. This one even won over Will, a non-coconut cake fan. More on the Gallery Restaurant. 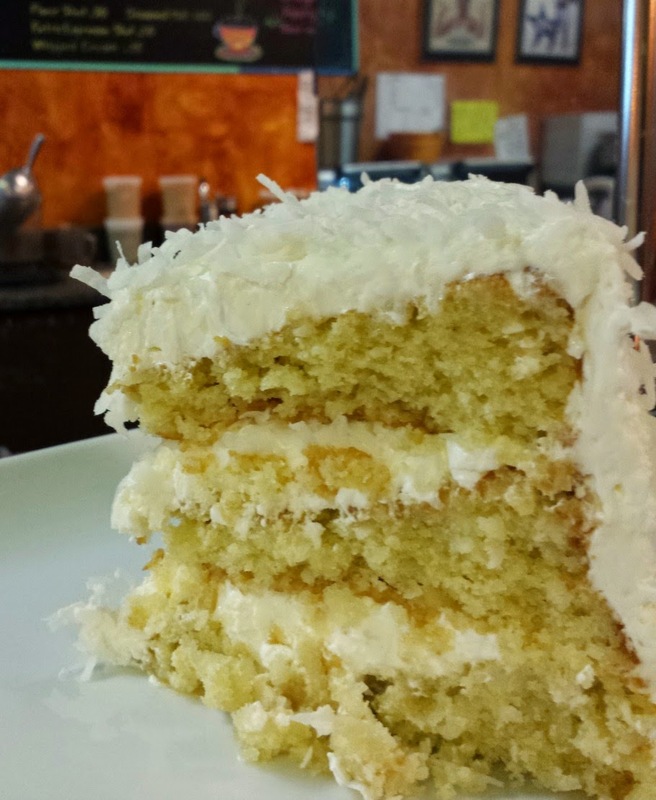 I also have to give credit to this coconut cake I found at Bean Traders in Durham, N.C. This is a "country" coconut cake by Sweet Jane's Bakery. It's different than the Gallery coconut cake, but it's the best cake I've found since my time in Charlotte three years ago. Key Lime Pie from Circa 81 in Morehead City, N.C. I have a hard time passing up key lime pie when it is on a menu. I've had some good ones through the years. 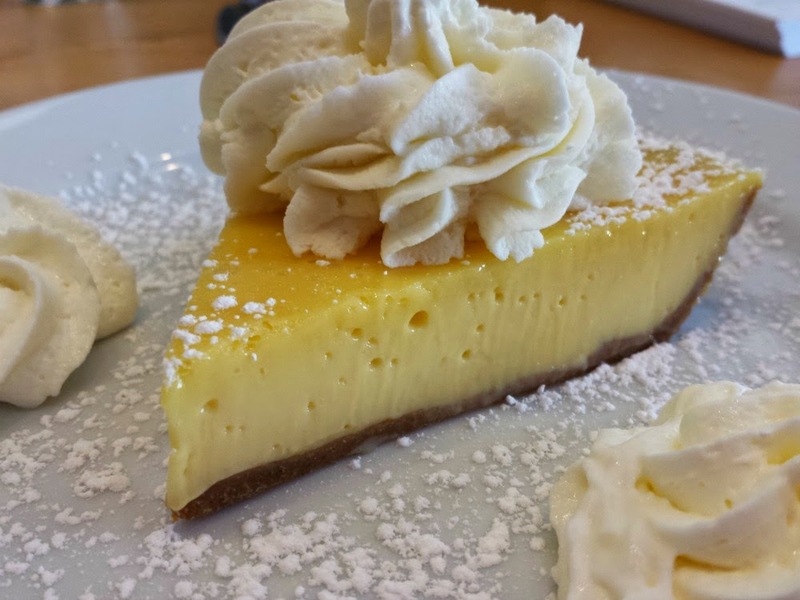 It's kind of like that pie, when your button is about to pop off your pants because you ate too much at dinner, but then you see the darn pie on the menu and you just have to order it because you just can't pass up a key lime pie. And for the record, Will hates key lime pie, but my father-in-law loves it so when I visited him last month while on a press trip, we ordered key lime pie in every restaurant when he was with us. Circa's key lime pie is very memorable. It's white in color and that makes it all-natural. Owner ClarkeMerrell told me that an 80-year-old family-friend makes it for the restaurant. Clark, I hope you have the recipe because that pie needs to live on through the years. More on Circa 81. 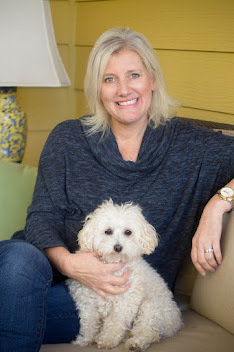 Read more about my travels to the Crystal Coast. Pineapple Upside Down Cake from Second Empire in Raleigh, N.C : Ok, this dessert goes back 14 years at least. I'm serious. I can remember it like it was yesterday and I so want to taste this cake again. Will and I were in the back dining room of Second Empire Restaurant, and pineapple upside down cake was on the dessert menu. I ordered it and thought it was the best thing ever. They've never had it again or at least not when I dined. I have daydreams about this cake. This is like the "one that got away". It was so good. I think I about it often, but don't know if I will ever see it again. More on Second Empire Restaurant and Tavern. Now CLOSED: Lemon Pie from PieBird in Raleigh, N.C. This pie will probably never be forgotten.It's really memorable. Tasting this was like a scene out of the movie, "When Harry Met Sally." I had lunch with a friend a month ago at PieBird in Raleigh. It was my first time there. I ordered the simple lemon pie. I took one look at her and said, "This pie is orgasmic. It's the best pie I every tasted." After saying something like that to a friend, you know she had to have a bite. She took a bite, and totally agreed. S'mores from Amos Mosquito's in Atlantic Beach, N.C. I was too busy eating key lime pie at Amos Mosquitoes to really get into the s'mores action at this restaurant. I didn't get a photo of that pie because my father-in-law is not used to dining with a writer. He dug in and had several bites before I got done with the s'mores photos. 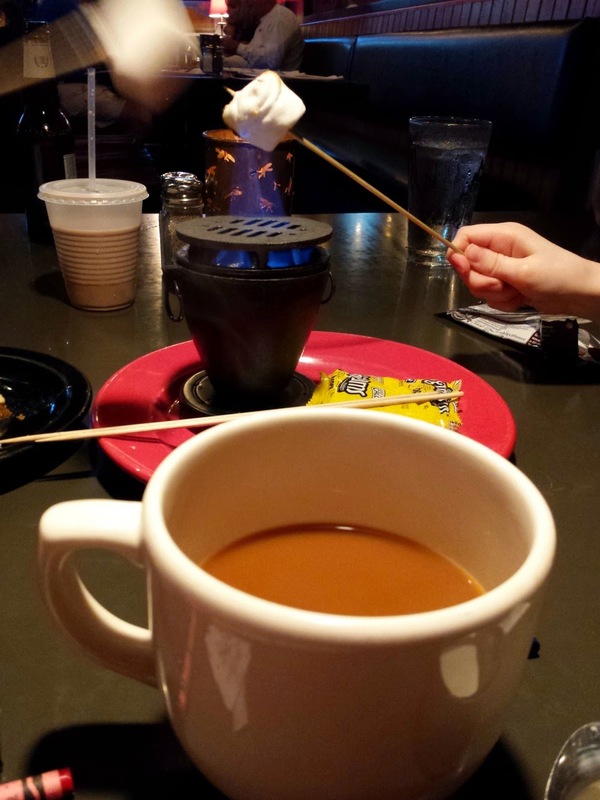 The key lime pie impresses, but the s'mores really won everyone over at our table. My kids are still talking about this dessert so I think it may be hard to top that for them in a restaurant experience plus Amo's Mosquito's has a great dining atmosphere. This was Will's favorite restaurant on our latest trip to the Crystal Coast. More on Amos Mosquito's. Vanilla Cupcake from Cafe Carolina and Bakery in Raleigh, N.C: I love a cupcake. I really cannot resist one any time of day. I recommend the cupcakes at Cafe Carolina in Raleigh and Cary. First off, I don't like globs of icing on my cupcakes. I want to taste the cake and not a bunch of sugar that I can't even get into my mouth because the icing is piled so high. These cupcakes are simple, and they have just the right amount of icing, usually decorated in its signature light blue. They also are cupcakes that are not overpriced. It doesn't break the bank to give a kid a simple cupcake here. My kids like chocolate ones, but I only eat vanilla. More on Cafe Carolina and Bakery. 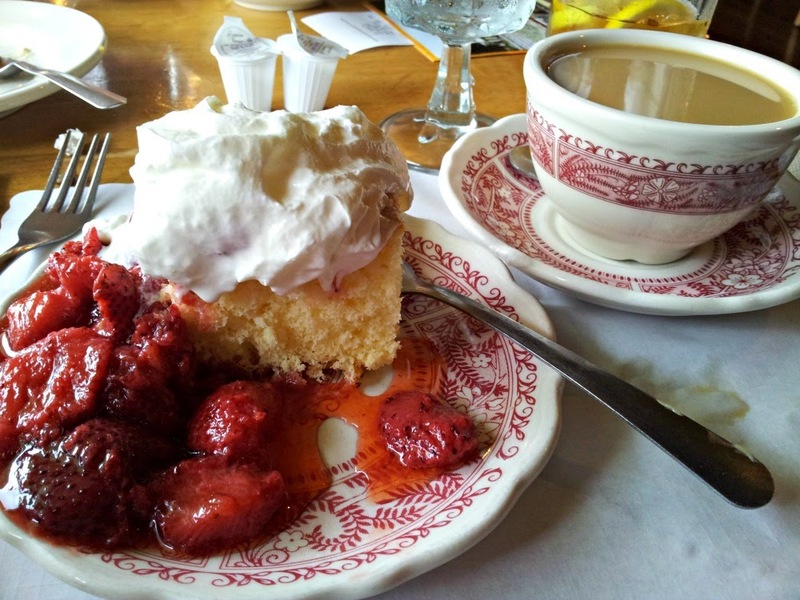 Strawberry Shortcake from the Dan'l Boone Inn in Boone, N.C: I think this is one of the places where I could easily be writing about banana pudding just as easily as I'm writing about shortcake. This restaurant is country to the core with fried chicken, green beans, ham biscuits, and glazed apples. The dessert choice was banana pudding and strawberry shortcake on the summer day we dined in 2014. My heart skipped a beat when the waiter gave the choices because I have a hard time passing up banana pudding, but I went with the shortcake instead. It was fantastic. And now that it is strawberry season once again. I can't stop thinking about this dessert. More on Dan'l Boone Inn. Banana Pudding from Toast in Cary, N.C: I really love banana pudding, and I make a really good one at home about once a year. I ordered the banana pudding at Toast last year and when it arrived, it was covered in powdered sugar. I was like, "Oh, no. What have I done?" But, once I got over the powdered sugar on top of my "puddin" and dug into the dessert, I was impressed. This dessert is a winner. I've been searching for a really good banana pudding for years in a restaurant that compares to the one that I'm too lazy to make, but once a year. I am happy to say that this one foots the bill. The only other good banana pudding that I've found is from Pam's Farmhouse in Raleigh, but they only have banana pudding a certain day of the week. And if given the choice of eating at Pam's or Toast, I would choose Toast. More on dining at Toast. 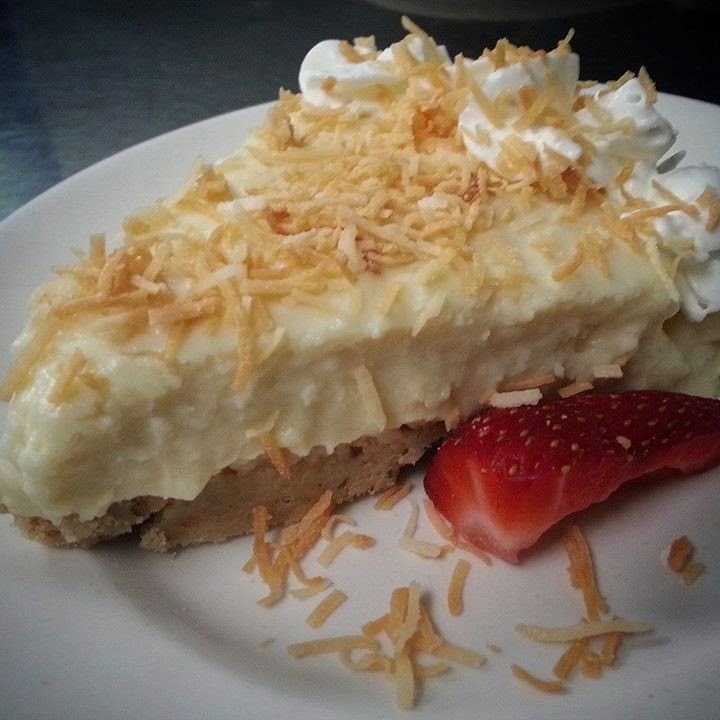 Coconut Cream Pie from Village Wayside Grill in Asheville, N.C: This charming tavern is located in the historic train depot in Biltmore Village. The food is great, and desserts change monthly. I happened to pop in when coconut cream pie was on the menu. I'm so glad I did. You're in luck. I heard this pie gets on the menu on occasion during the rotation because it's that good. It's dreamy. The Village Wayside Grill was extremely close to our hotel, The Doubletree Biltmore, and was recommended by the hotel as a good dining option nearby. Glad I listened. More on Village Wayside and my experience in Asheville. Dotchie's Poundcake from Capital Club 16 in Raleigh, N.C. I like Capital Club 16 in downtown Raleigh because of its European influence. They serve a great pretzel. But, when a restaurant has poundcake on the dessert menu, they have a fan for life. Seriously, I love a good poundcake. The only other place where I've gotten good slice of plain poundcake that I can remember is from Aversboro Coffee in Garner, N.C. If it tastes like my grandma's poundcake then you can bet I'll be back for another serving. More on Capital 16 Club and Aversboro Coffee. 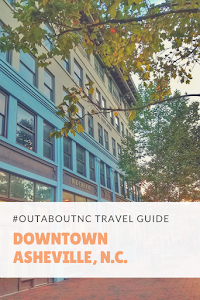 Be sure to use the #outaboutnc when you are out and about in North Carolina. Use the hashtag to be featured. You can follow @outaboutnc on Instagram, Facebook, and Twitter. 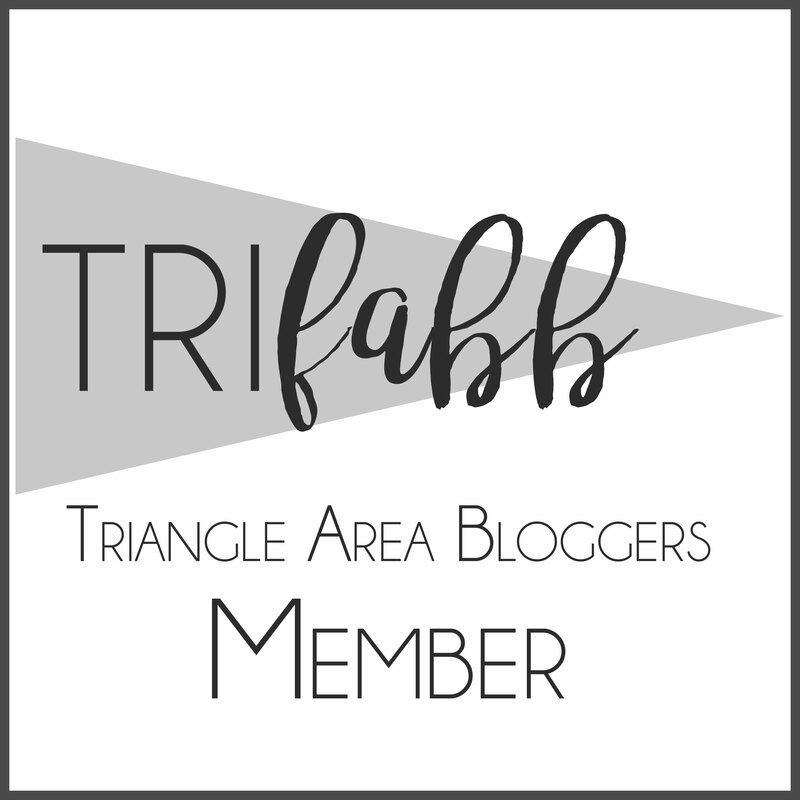 You can also follow me personally @hinessightblog on Instagram, Facebook, and Twitter. Note: This is a non-sponsored post. Some desserts on this list I did not pay for because they were part of a press trip, but my opinions on dessert cannot be bought. They made this list because they were memorable desserts.